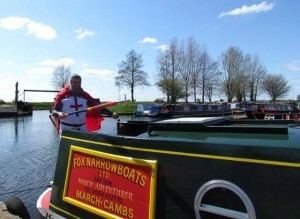 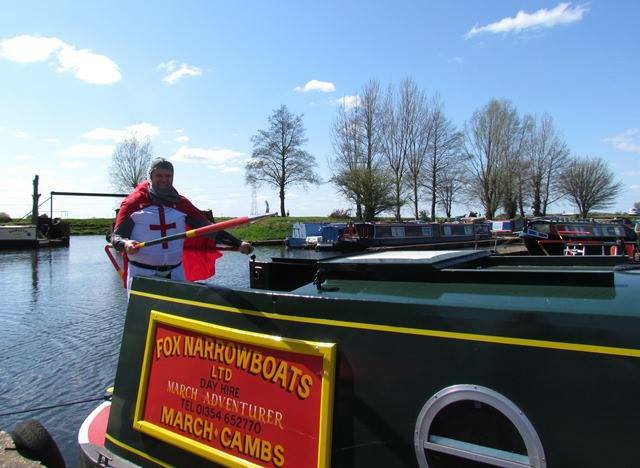 A team from Fox Narrowboats took part in the March town St Georges Fayre on Sunday 26th April running boat trips to raise money for East Anglia’s Children’s Hospices. 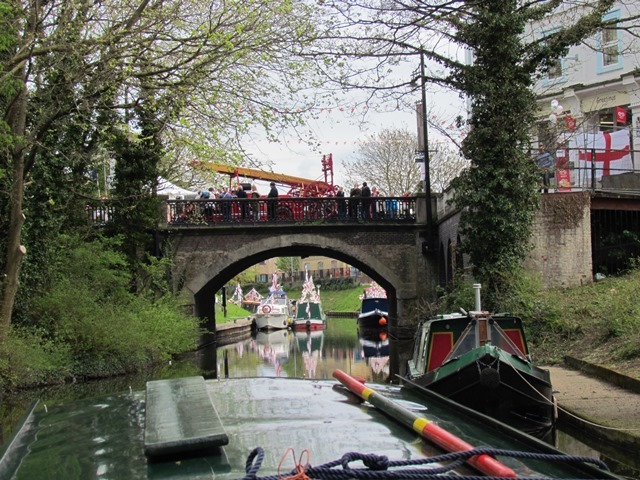 12 boat trips ran throughout the day along the Old Nene between the town bridge and West End park. 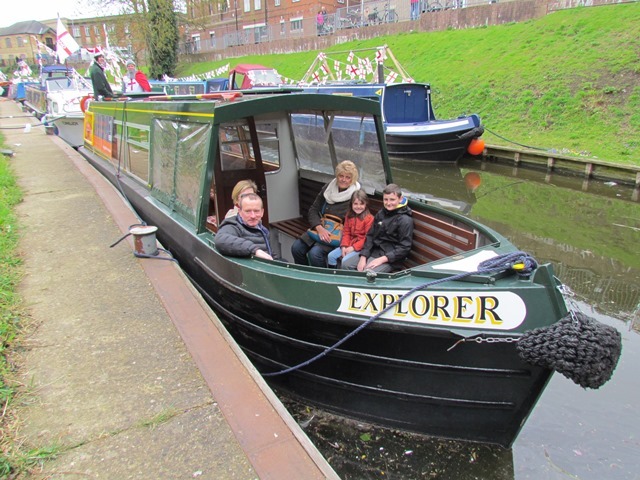 The trips lasted 30 minutes and gave people a chance to experience a journey by water, Skipper for the day was one of our RYA Inland Helmsman Instructors Gary Baxter and Steward was Gary’s daughter Inland Hem Nicola. 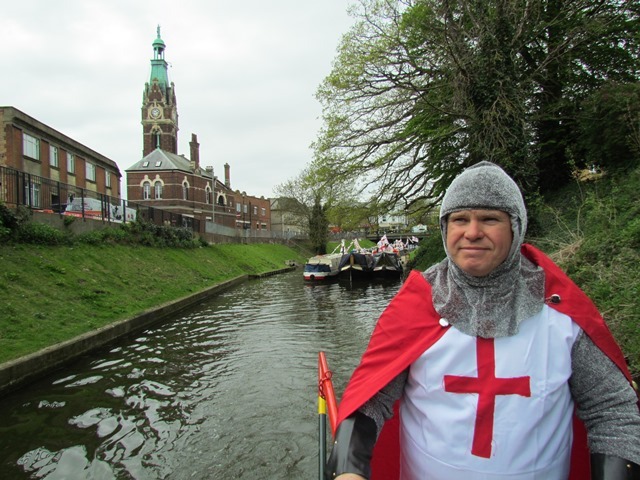 Other staff ran the booking stall alongside a tombola and over the day an amazing £529 was raised for our charity of the year. 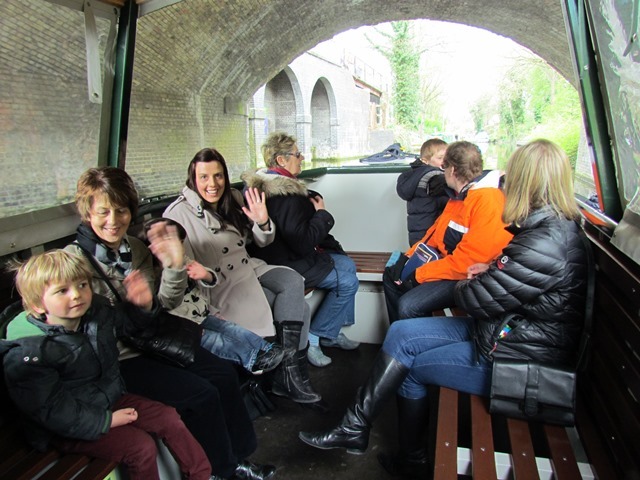 Finance Director Tracey Baxter said “I am delighted that we raised £529 and gave the people of March a taste of boating whether on a Day trip or a holiday the Waterways of Cambridgeshire are a great place to relax and play. 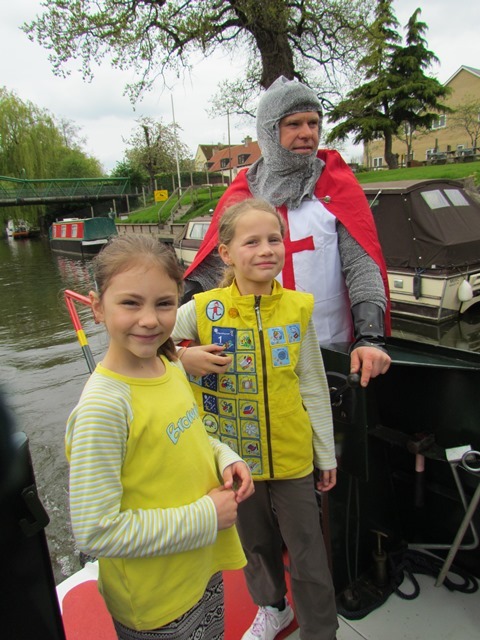 It is great to show a wider audience how much fun time on a narrowboat boat can be.” The companies next fundraising Adventure for East Anglia’s Children’s Hospices takes place on Saturday 30th May 2015 and will be their annual tea party cruise. 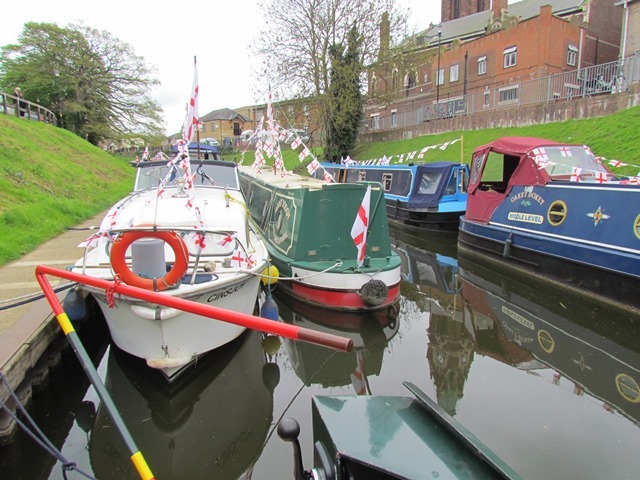 An hour and a half’s trip from the Marina including tea, coffee and freshly baked scones. 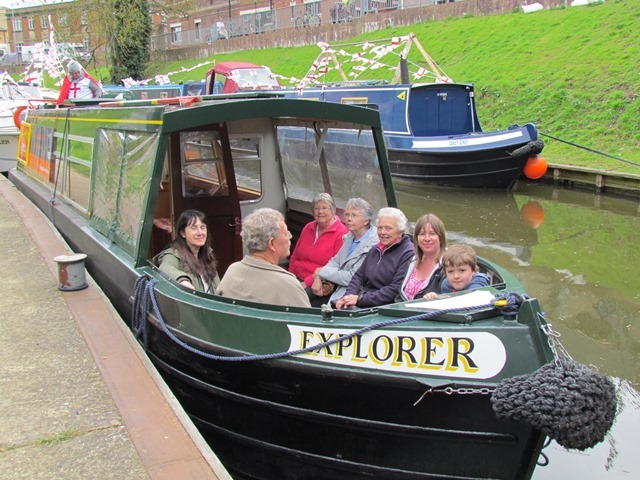 Tea Party trips can be booked by contacting the office on 01354 652770 and run from 10am.